It seems the perfect time of year for a visit from a Disgruntled Elf. Maybe this one is sick to death of being expected to make enough presents for Earth’s increasing population every year without so much as paid time off. He may even be thinking of starting Occupy The North Pole. Whatever happens, he won’t be feeling any pain. 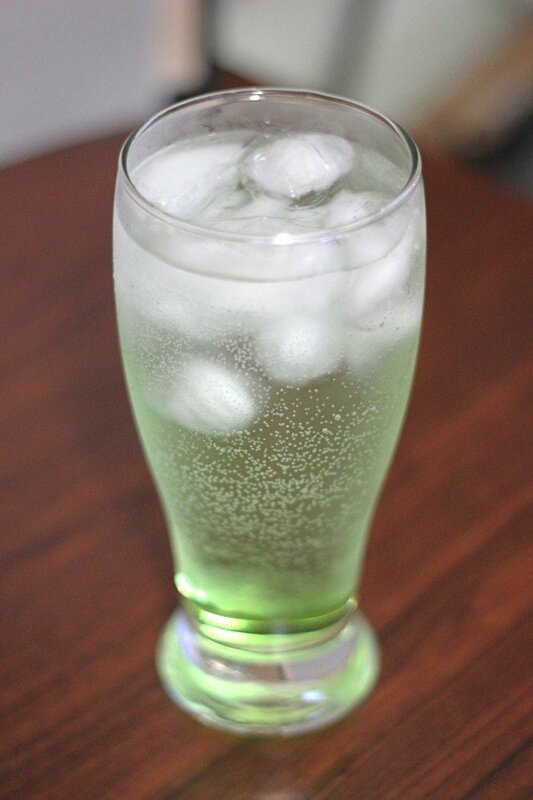 This little green drink features four ounces of alcohol. 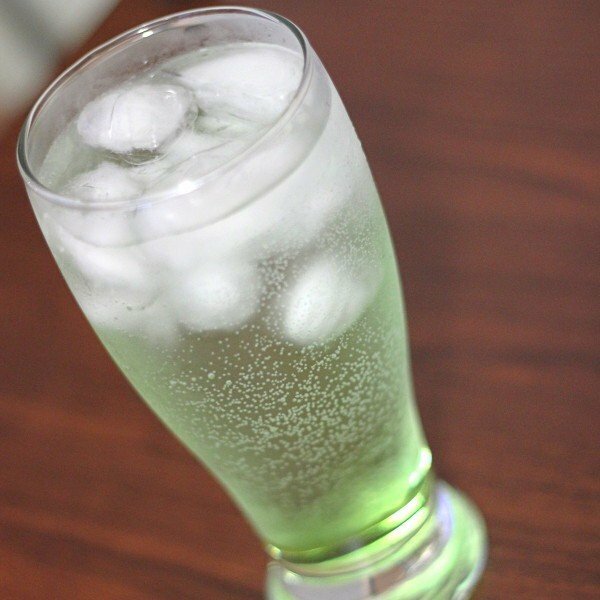 Pour all ingredients, except the lemon-lime soda, into your glass (with or without ice). Stir them together, and then fill it the rest of the way with the lemon-lime soda.